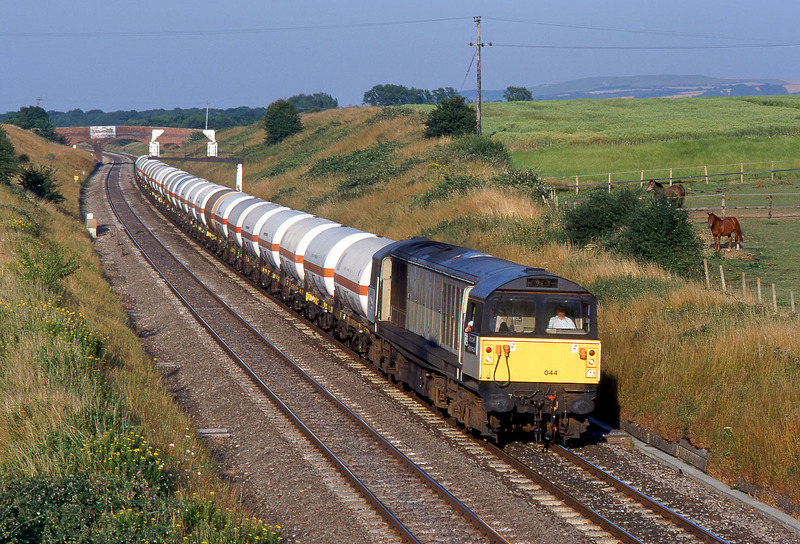 Watched by two of the resident horses of Grange Farm, 58044 Oxcroft Opencast passes Bourton on 25 July 1995 with the late running 6V13 12:20 Furzebrook to Hallen Marsh LPG tanks. Just visible on the horizon (at least on the original slide!) is the famous Uffington White Horse.